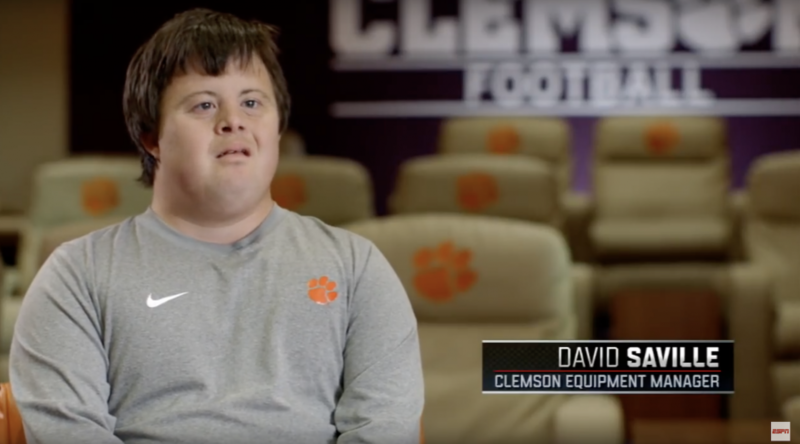 I recently came across an incredible video produced by ESPN about a man with Down syndrome, David Saville, who is part of the Clemson Tiger’s football team. I’ll be honest, I teared up. I teared up because I love everything about this video. 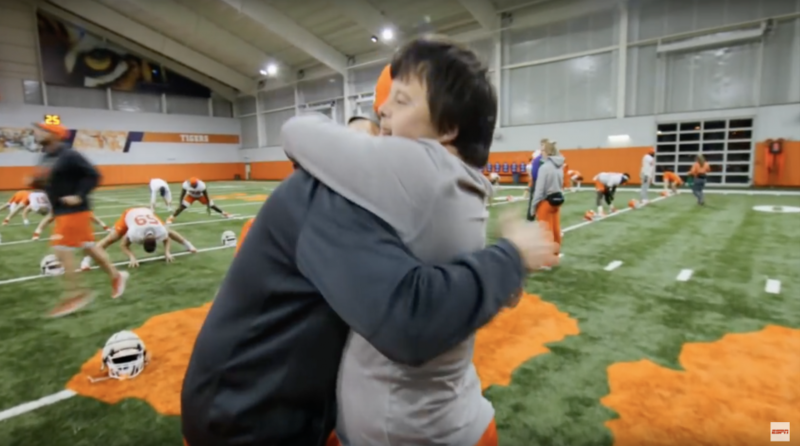 The way the Clemson football players treat David like a friend, the way Coach Swinney proudly treats David like a member of the team (I especially like when he says, “He’s part of the team.”,) the way David’s parents talk about their son, and of course, the way David connects with the team so well. It’s really special…and really awesome. This isn’t the first time I’ve mentioned Clemson University in a blog post. 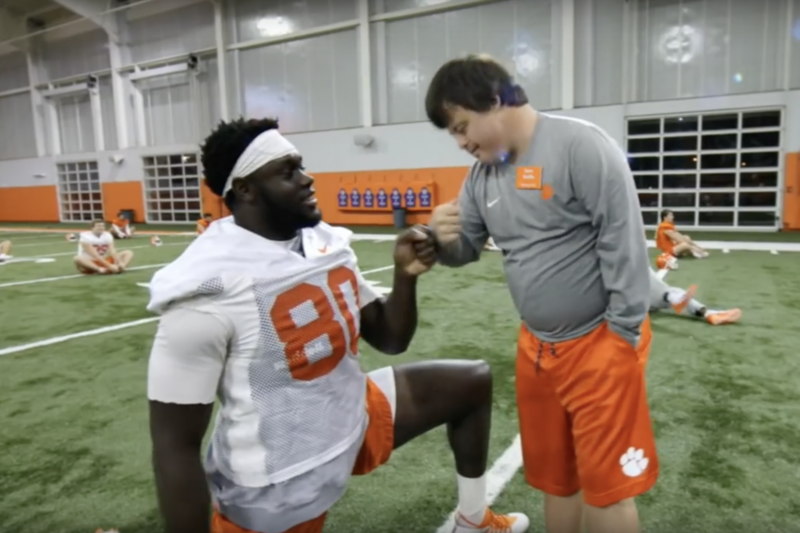 A few years ago I shared Rion Holcombe’s story of getting accepted into Clemson’s incredible LIFE program (a program designed for individuals with, “…intellectual disabilities who desire a postsecondary experience on a college campus.”), in the past they have been kind to our efforts here at Noah’s Dad, and now I’m learning about David’s story. As a father of a child with Down syndrome, I really appreciate their efforts to include all people. I didn’t go to Clemson, but I’m starting to wonder if my son(s) will! From time to time some of the stories I come across about people with Down syndrome almost seem patronizing (that’s another blog post for another day), but this story feels different to me. If you watch the video above you’ll see that the football players treat David like a member of the team. Like a friend. It’s obvious that the Coach really cares about David…and not just when the cameras are rolling. David feels like a friend, not a project. As our son grows older, I really hope people see him as a peer, and not a project as well. Not someone who needs their help all the time, but someone others genuinely like to be around. Noah has a great group of friends now, and I hope that those friendships continue to grow and develop over time. As I watched this video I couldn’t help but hope that my son has a group of friends like David when he grows up (which is funny, because he has that group of friends now.) I also thought, I bet no one picks on David since he has the entire football team as his friends! David is part of the Clemson Tiger’s football team! I did a little Facebook creepin’ after watching this video, and sent David’s mom a note via Facebook telling her I was encouraged by their story, and saying I’d like to connect with her husband one day. She was so kind to write back right away with her husband’s cell phone number, saying that he said he would love to talk to me anytime! How awesome is that?! David has some kind parents! I can’t wait to hopefully get out to a Clemson game and meet them all one day. She also mentioned that David had a YouTube channel. I’d encourage all of you reading this to check it and subscribe! To Clemson University and everyone at ClemsonLIFE, thank you. What you are doing is a huge encouragement to me, and many other parents. Thank you for seeing value in kids like David (and Noah) and for helping them do things that they would be very difficult for them to do otherwise. You are making a difference. I love this story. I love every story I read on this blog. 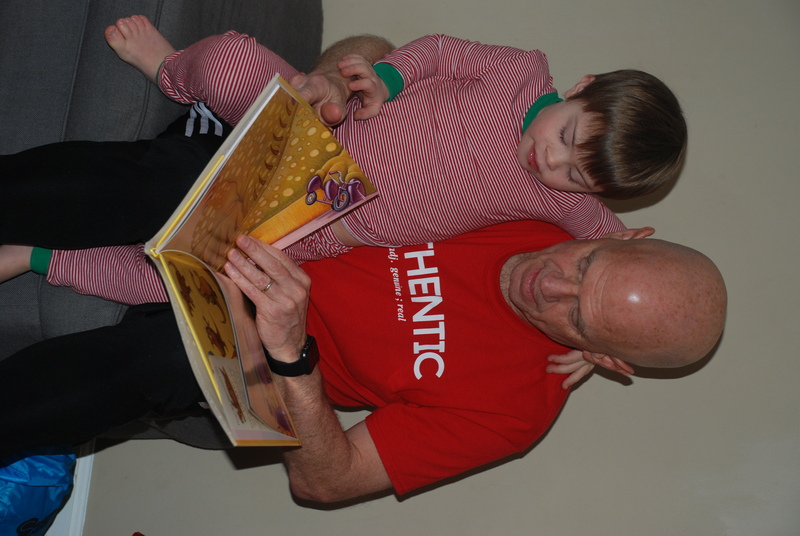 My son walker who is 3 and has Downs is such a gift to all our family. I look forward to him growing older and becoming apart of the amazing opportunities the world has in store for him. Thanks for the kind words, Alisha! You should like a great mom! Please keep us posted on your son’s story. We met David. My son had him speak at our grandsons Boy Scout Meetng. He is an amazing young man. His dad is very special too. This is what happens when no limits are placed on children with special needs It was such an honor to meet him. Our grandson, Davis is 6 1/2 and has DS. We have been following you since Noah has been born, enjoy hearing about your family. Thanks for your comment, and for sharing the picture! Your grandson sounds like an awesome guy!